Protecto Wrap Stucco Tape is a superior self-adhering, air and moisture barrier for vertical and horizontal EIFS/Stucco systems. 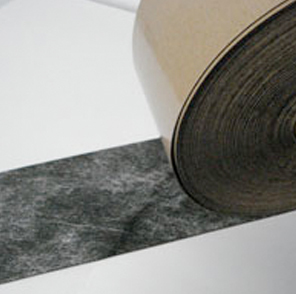 Protecto Wrap Stucco Tape is a 30 mil SBS modified rubberized asphalt membrane with a polyester top surface. This polyester surface enhances the adhesion if the base coat is applied directly to this surface. The Stucco Tape can be applied over gypsum board, wood, metal, styrene and polyethylene surfaces to form an air and vapor barrier in the EIFS/Stucco system. The Protecto Wrap Stucco Tape is self sealing when penetrated with mechanical fasteners. Stucco Tape should be used to seal window and door openings, joints in the insulation or gypsum board and wherever water infiltration may be a concern.